The sheer idea that graphing calculators are still a thing in 2017 is a bit absurd when you consider that nearly every student is toting around a far more powerful device in their pockets in the form of a smartphone. Fortunately, the burden of purchasing and lugging around the technological dinosaur will soon be lifted in favor of a modern option. Students in 15 states will soon have access to the Desmos online calculator for use in the classroom courtesy of a new partnership with testing consortium Smarter Balanced. 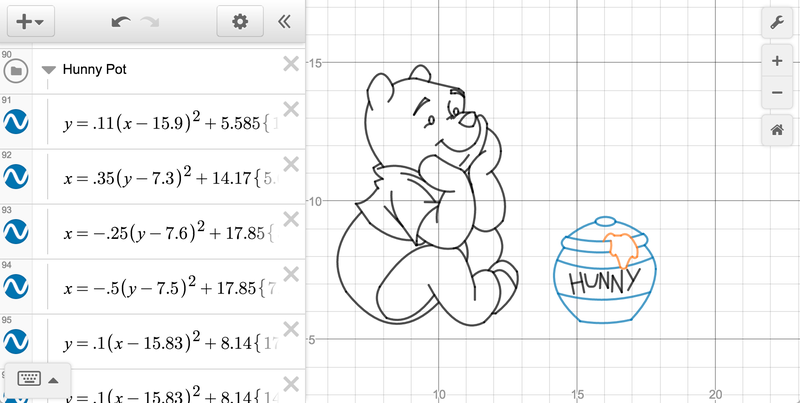 Desmos isn’t some fly-by-night operation. Launched in 2011, the San Francisco-based company already has users across 146 countries collectively logging more than 300,000 hours each day. Its platform affords users a colorful interface, live graphing capabilities, accessibility features for those with disabilities and connectivity using a computer or mobile device – all free of charge. The deal will likely be welcomed news for both students and parents as they’ll no longer need to purchase a standalone calculator that typically retails for north of $100. Market leader Texas Instruments, which has sold more than 75 million graphing calculators since 1990, likely isn’t thrilled with the development. Peter Balyta, the company’s head of education technology, defended the high price of TI’s calculators as a “one-time investment in a student’s future” in a message to Quartz. This is quite inaccurate. The Texas Instrument calculators wont be going anywhere as someone who administers ACT and SAT and other computerized testing the use of a calculator is a must very few "vendors" have implemented calculators inside of their tests. The ACT and SAT will never allow the use of a computer or mobile device for the far foreseeable future. If the argument was in classroom settings only I can agree, however no school or college in MS allows the use or having such devices so I still dont see that really happening. Reehahs, mosu, davislane1 and 1 other person like this. Exactly. 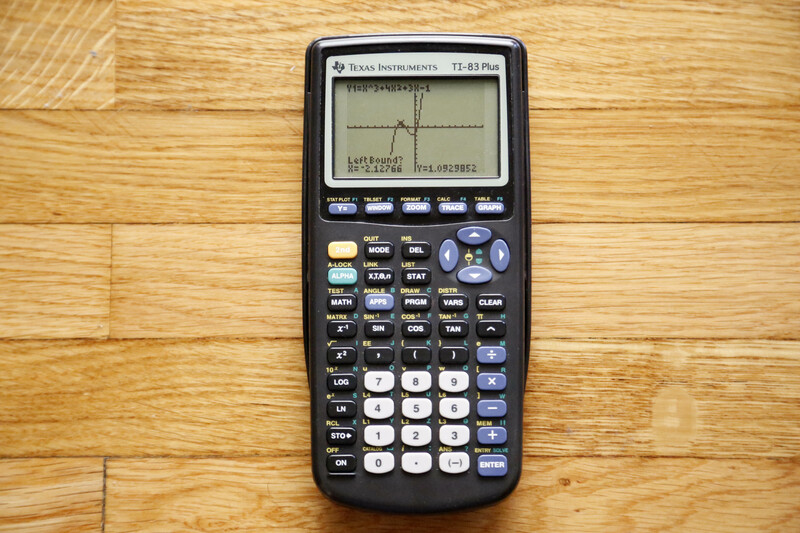 Physical graphing calculators aren't going anywhere. I own four different calculators. Ti30, ti36, ti84, and a Ti nspire cx cas. These were collected over nearly a decade due to different requirements in school and college classes. They are absurdly priced. Especially the Ti84 because it hasn't been improved really since it was launched. Now, if they were smart, they'd build a dedicated device that only accesses their website for functionality. That way no computer would be required and it could put those that give tests some piece of mind. They could probably sell such a basic device for under $50 and all that would be required is a WIFI connection. Depends on the computer - when I took the GMAT I was given a computer to take the test on - it was dumb terminal with no internet access and you needed a password to get out of the test. You could easily incorporate a calculator program into this. I agree students would never be able to bring their own computers or smart phones, but for testing you could be allowed access to a protected computer. If you use them regularly then a one key per function calculator is a good thing, rather than having to share with all the other junk on a smart phone. The real problem is the outrageous cost for the hardware that you get. I want a Roland Drum Brain in the form of an app, USB drum wiring. The hardware requirement is kind of ridiculous. This past year I took Calc 1 and Calc 2 online (trying to get a math degree). Everyone used Maple (an alternative to Mathematica). A graphing calculator was optional. There are also plenty of resources available for free (Symbolab, WolframAlpha) that makes checking or performing calculations very easy. Hardware really shouldn't be an issue anymore. This should be a software issue. If something like a Ras-Pi can run the app, then surely they can churn out dedicated devices for no more than $50 and completely undercut TI's stranglehold on the market. With TI89 cheating was already possible with courses available online. All you need to do now is force students to use a device that can only go onto one website and it looks totally feasible. This is why at least for all of the testing I do ACT and Various computerized testing like pearsonvue,mcat,teas,Cats,Mcat and others that the Ti89 is banned from use. Also they make us disable the front usb ports otherwise even a locked internet device is susceptible to a usb software bypass or a usb nic card to connect to a phones tethering providing a workaround form the current restrictions. I have seen some paranoid like reports from our vendors on what to look for. That would be an option I have doubts as to it costing 50$ for a specially made device even using Raspie as a base. I have never seen a vendor spend money on such things ever with the exception of MCAT they sent an entire camera setup tripod stands recorder POE ethernet cameras and wands all in pelican cases they no longer do this but not other vendor has "paid out" for such things. They leave the responsibility to the testing center all they do is offer support,rescheduling and the initial testing software setup, heck some dont even offer the setup.